The Music Factory is home to a bevy of entertainment options within Uptown’s Fourth Ward. Top-notch musical acts perform at the Uptown Amphitheater, a beautiful outdoor venue with views of the Charlotte skyline, and the Fillmore Charlotte, modeled after the famous San Francisco venue. Looking for something a little different? Swing by the Comedy Zone for a laugh with stand-up stars. Amos’ Southend has a cool warehouse vibe and it’s all about the music. While they don’t have food, the ever popular Southend neighborhood is home to plenty of options, including the fantastic patio at All American Pub, the deliciously funky tex-mex fare at Phat Burrito, and the best ramen bowl in town at Futa Buta. 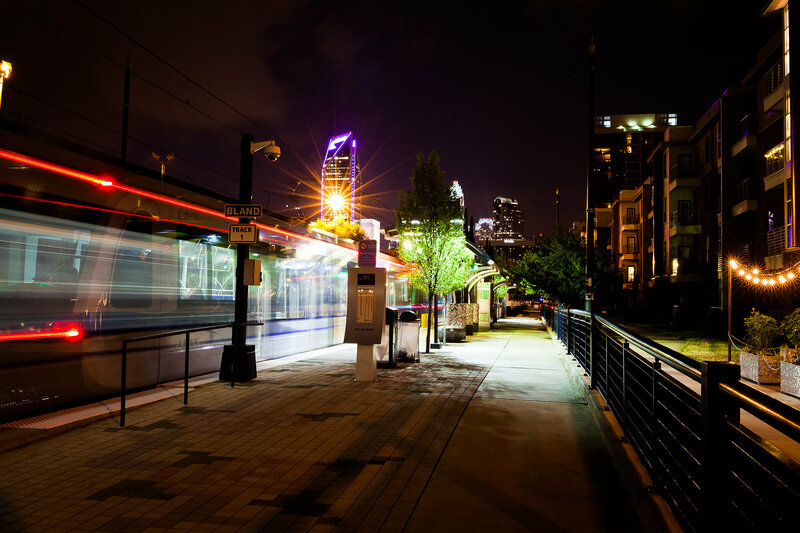 Take the lightrail to Bland Street Station and enjoy all that the neighborhood has to offer. Located in the heart of Elizabeth, the Visulite Theater is an intimate venue is host to many up-and-coming acts. Seating is all general admission so get there early! Don’t forget to grab a bite to eat at Carpe Diem before the show, and scoop some dessert at Elizabeth’s Creamery after the show. Don’t feel like driving? There’s a B-Cycle Station across the street, or hop on the new Trolley. 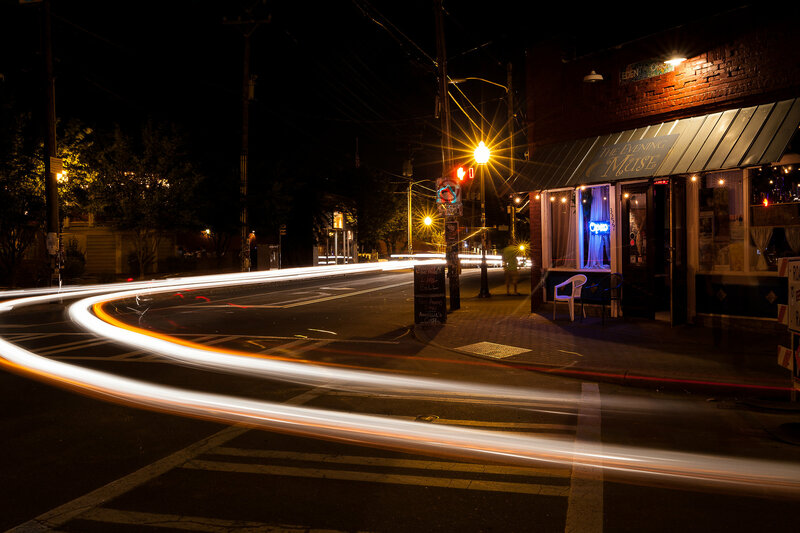 Voted Best Acoustic Music Club, The Evening Muse is an intimate venue located in Charlotte’s eclectic Arts District. Host to many touring acts from all across the musical spectrum, you won’t have trouble falling in love with their bands and location. Don’t miss the opportunity to grab a snack at Cabo Fish Taco, and a craft cocktail at Heist. The premier outdoor amphitheater in the region, PNC Music Pavilion is the place to go for large events, and has been host to annual touring festivals such as Ozzy Osbourne’s Ozzfest and the Van’s Warped Tour. Opened in 1993 in the University City area, this venue hosts almost 20,000 eager concertgoers. 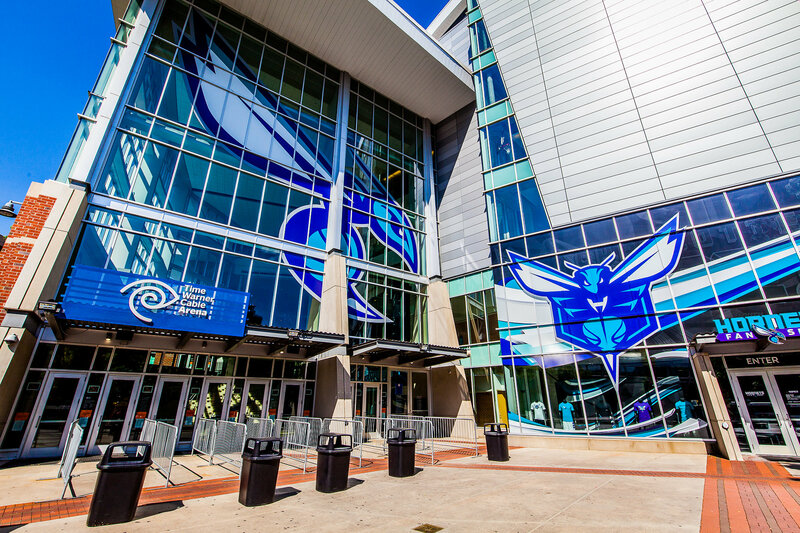 The Rolling Stones helped open the Time Warner Cable Arena in 2005 with a concert, and it has been home to the Charlotte Hornets (formerly Bobcats) NBA team ever since. A wide variety of musical acts play here, including Beyoncé, Cirque du Soleil, and Billy Joel, as well as major events like the annual Monster Jam, American Idol auditions, and even the 2012 Democratic Convention. The arena is located in Charlotte’s ever popular Uptown First Ward, but don’t worry about parking. Take the light rail to the CTC/Arena Station, and enjoy the nightlife at the EpiCentre. Looking for something more casual? 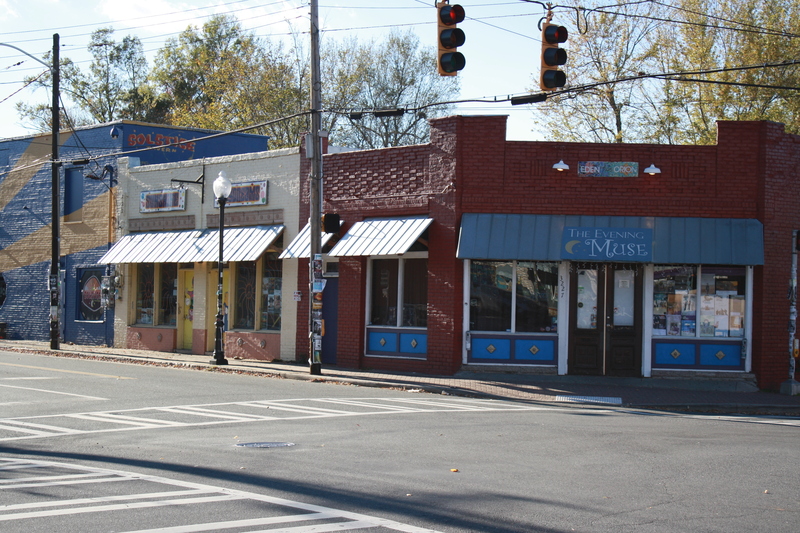 Swing by the red-hot Wesley Heights neighborhood and take in some live entertainment at Rhino Market. This popular local hangout is host to varying acts every Saturday night, as well as popular WAK Wednesday’s where artists of all kind arrive to put on a show. Tell us: What are your favorite spots to see live music in Charlotte?